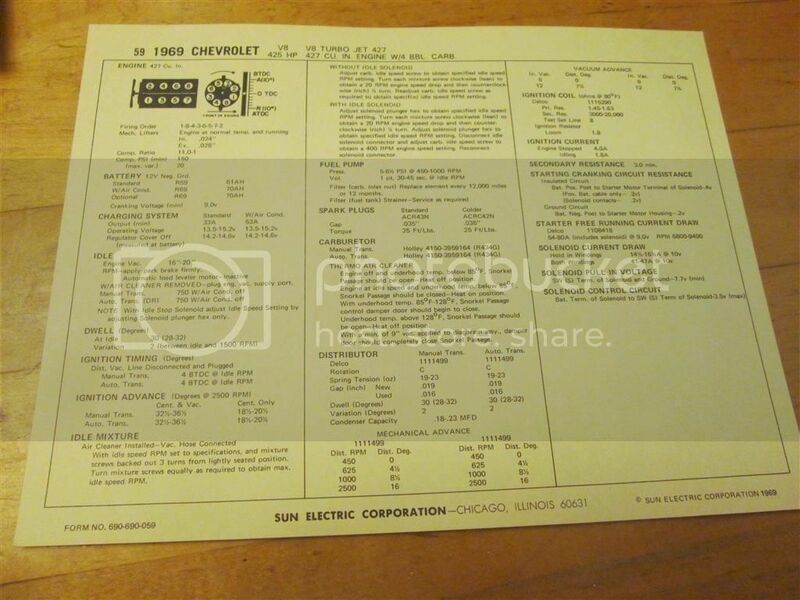 Free Classified Ads for Chevy Vehicles - Vintage Sun Specifications Tune Up Sheets "Automotive Baseball Cards"
Description: I just posted almost 1000 Sun Tune Up Sheets in my EBay Store. These sheets were originally designed for mechanics to use for specifications when tuning a car. 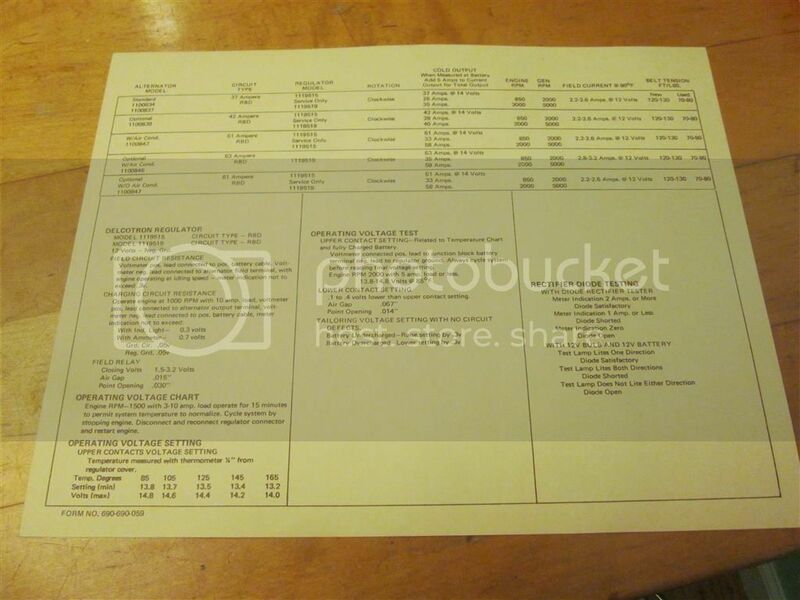 Each sheet has specifications and part numbers specific to each individual application. These sheets are great for reference as well as display since they paint a portrait of the car's engine bay. 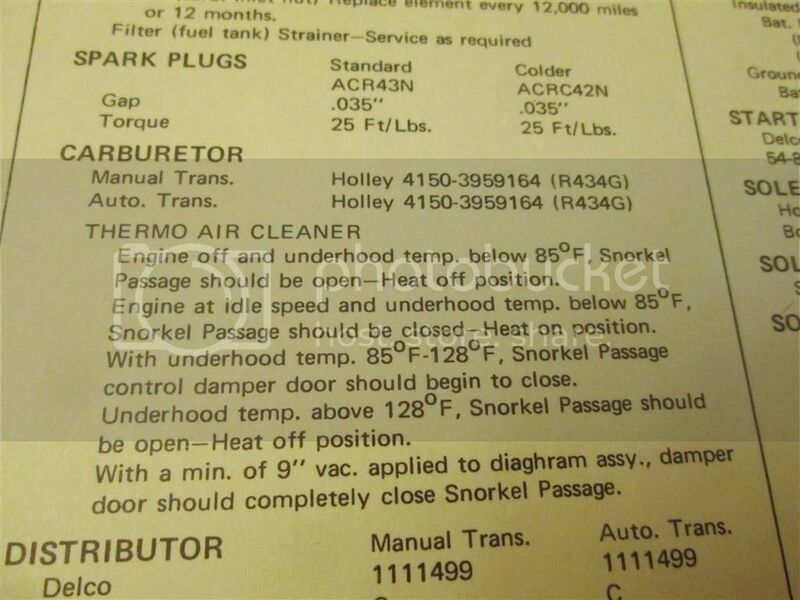 They are kind of like automotive baseball cards since they show many of the specs and attributes of the car's engine. I have a few of these displayed in my shop and they often get more attention that the cars themselves. 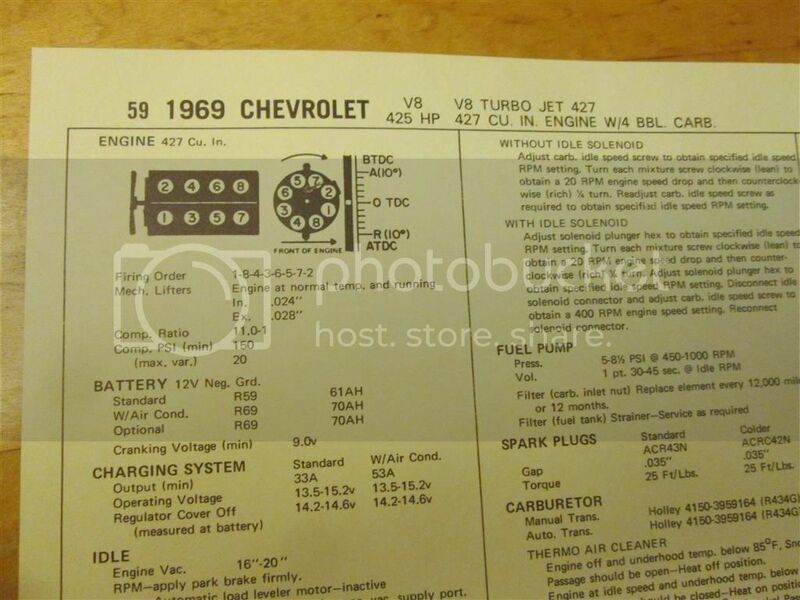 Since this is a Chevy forum, here is a 1969 L72 427/425HP engine sheet as an example. 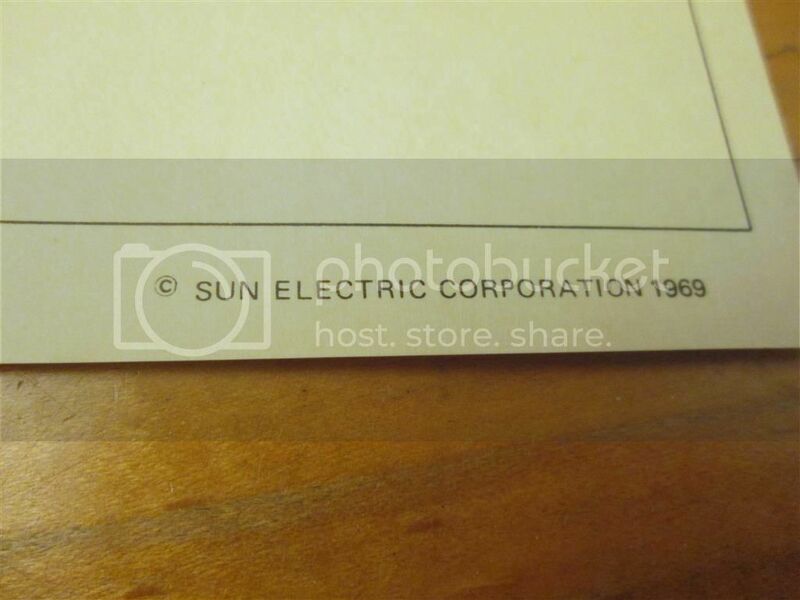 I currently have every sheet from 1957-1970 listed and 1971 is on the way. These were sold in sets and each set came with one of each sheet. Once the sheet sells, it is gone so don't hesitate.